Our great looking 2018 Kia Sportage EX AWD is a stand-out in Black Cherry! Powered by a strong 2.4 Liter 4 Cylinder that offers 181hp while paired with a responsive 6 Speed Automatic transmission with Sportmatic. Our All Wheel Drive has nicely-weighted steering and excellent maneuverability as you enjoy near 30mpg on the highway! Our Sportage has the rock-solid stance you desire with its bright chrome accents, rear spoiler, and clear projector beam headlights. Built for your lifestyle, the Sportage EX interior is incredibly spacious with plenty of room for your tallest friends and all their gear. Imagine yourself settling into the nicely bolstered heated leather-trimmed seats, then check out the push-button start, rearview camera display, steering wheel controls, drive mode select, Bluetooth, UVO eServices with a touch-screen display featuring Android Auto, Apple CarPlay and other comfort and convenience features just waiting to spoil you. In challenging driving situations, our Kia Sportage EX also ensures your sense of security with anti-lock brakes, hill start/downhill brake control, electronic stability control, a multitude of advanced airbags, and even its innovative Iso-Structure unibody that boasts chassis rigidity based on superior high-strength steel. Practically perfect, your Sportage awaits! Print this page and call us Now... We Know You Will Enjoy Your Test Drive Towards Ownership! What makes Brantford Kia different? Did you know our team is on salary, not on commission? In fact, their bonus' are based on how highly you rank them on the satisfaction survey....so if you want a different and fun experience, try Brantford Kia! Brantford's Readers choice Used Car winner! We finance! http://www.brantfordkia.com/ Is it worth the drive to Brantford Kia? Absolutely! Example of Cost of borrowing example: $10,000 financed at 6.99% amortized over 5/6/7 years would cost 1920/2304/2688 in interest. Prices are all in excluding HST and licensing. This vehicle is $194 BELOW MARKET (0%) in the Brantford area. It is analyzed against similar 2018 Kia Sportage's and is based on kilometers, transmission, trim, and options. 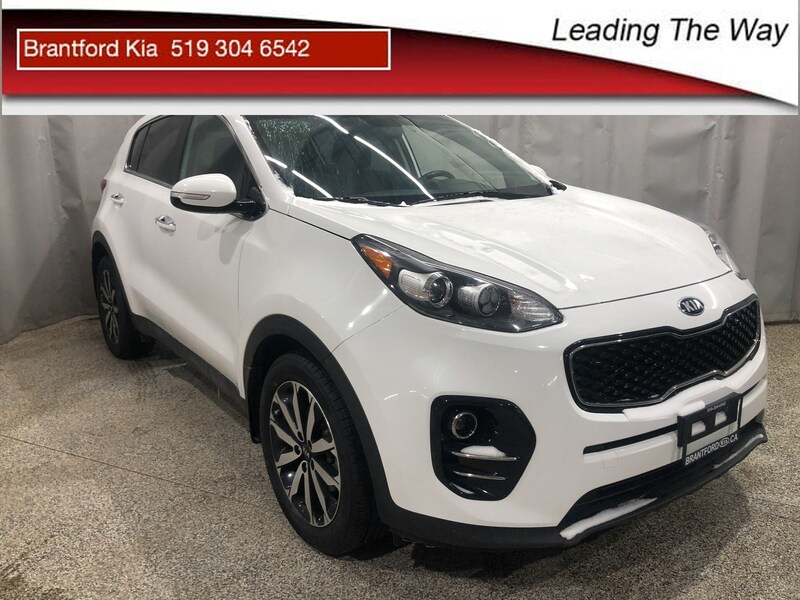 Hi, I have a question about a 2018 Kia Sportage EX | Leather | AWD | from 0.9% - Brantford that I found on autotrader.ca.